← Sacred Geometry. Sky Spirits. The shaman archetype in turning-over or troubled times has been coming up for me frequently in my dreams, visions and even in past-life readings for myself and others, especially for spiritual entrepreneurs. Whether it’s truth or not, it often feels that the collective WE needs revelation and healing now. Once upon a time, things were similar in some ways, and we may find hidden codes, meaning and revelation in revisiting these stories. This is how it’s been shown to me in visions. Community shamans are responsible for the health of the entire community. But what of the shamans where visitors intruded and ultimately decimated people, communities, and cultures? These shamans had special gifts and wisdom that they brought to their work. They had passion, respect and love in their hearts for their communities and all the souls who dwelled there – human, animals, rocks and trees, and all the ancestors seen and unseen. Even though some foresaw the brutality and betrayal, the cultural genocide to come, they felt powerless to stave off the destruction. This grieved them deeply. Plus it perplexed them to explore how they fell out of right relationship with Great Spirit. But they did not. There was no resolution to the query that I can see in my visions now, or that they could see through their vision work at the time. It’s dreadful, yes? Times like those. Why is it important to revisit this? These are similar times of chaos. The invaders are corrupt corporations who steal and poison us with treacherous technologies. The diseases and alcohol brought by the Europeans are replaced now with genetically modified foods, toxins in our water, drones, fracking and more. Are we to blame for being out of balance? Or is it the nature of things to turn over in devastation in order to return to balance? I don’t really know these answers. But I do see that many of us carry similar past-lives or archetypal energies where we forget our connection to Spirit at times, and where we feel we are alone in our creations. We feel the weight of balancing family and work in a too-hurried world and an unstable economy. Some of us balance business planning, creating products, setting-up offices, getting continuing education and coaching, plus taking care of our bodies, emotional bodies, and energy bodies (sometimes as an after-thought or where we wiggle self-care into impossible spaces). Here we are, serving as caregivers and nurturers to so many others, sometimes even to the point where we struggle meeting our own survival needs (as in under-charging for our services and staying in perpetual lack). We may have a few champions and supporters in physical form, but we know that ultimately we must rely on what lies within. I know from experience, it can be most daunting. Like these shamans of old, we may sometimes sense a somewhat discordant connection to Spirit, or Spirit may become a too abstract concept. Or perhaps we know we are channels for others, but we forget to ask for help for ourselves, for our creations. I want you to know this right now. Your path IS divinely inspired and guided. You are here at this time for a unique purpose. It may feel grandiose or simple, but it’s essential nonetheless. It’s a paradox. You are at choice to say “yes” or “no,” and you can’t get it wrong. At the same time, no one else can do what you are here to do, not like you. Our pace for shifting consciousness feels exceptionally fluid and rapid now. To keep up, we have to be willing to receive and consider information that may once have seemed preposterous. The veils thin further as awareness expands and deepens. Science will have to move quickly to keep pace with visionaries. But it will be so! This is what I propose. Let’s each claim our power as shamans, as healers to ourselves, our communities and the Earth. We may do this through our connection to the Earth and sky, through ceremony and ritual. We may do this by calling upon Spirit to be our partner so we no longer have to feel alone, isolated or over-burdened by what we feel called to create. Then we may open ourselves to inspiration and to angels-in-earthsuits who come to join in our efforts or who come to support us in some ways. These may be paid “healers” and coaches, or these may be beloveds, best-friends or animal companions who show up for us in just the right way at the right time. More often than not, we will feel our connection at first meeting or feel some sort of draw to people or places. There’s another piece too. This wisdom connects with my own path as Galactic Shaman, along with several clients and students who have been working with me. It’s common sense that the “galactic” part would be influenced by the energies and wisdom of the stars. Astrology, for example, explores archetypal themes and shifts in energies we experience here on earth related to other planetary influences. Going deeper, “galactic” may refer to accessing other ways of knowing, from cultures that exist in the stars, perhaps inhabiting other dimensions, some with higher-wisdom or advanced technologies. Ascended Masters, Angels and Spirit Guides may be included in this category. Perhaps too those called Pleiadians, Arcturians, Sirians, Hathors and others who are often channeled with messages supportive of our conscious evolution. I am seeing that one path to restoring balance to the earth is to access this galactic wisdom. There’s a higher-wisdom that tells us we may return to balance within and help to restore balance to the Earth and all-of-us too. There’s higher-wisdom that allows for all this chaos and confusion to be, but without the judgement we often attribute to times like these. I access this wisdom in a place that feels like the stream of super-consciousness, where we may all come to gaze into all the Truths have ever been, beyond the veils of illusion. We may talk to Ascended Masters, Angels, and other Spirit Guides to gain a broader view of what’s here now in our world. We may access all our past lives and the wisdom we’ve integrated over the ages. We may even receive healing and DNA repair and activation in this stream. All this and more I’ve learned through The Stargate Experience. As we access this wisdom, and as we remember who we BE and to see ourselves as whole, healed, and balanced, so too are we able to share that vision of and for all-of-us and for the Earth herself. In that way, we become more than channels for healing. 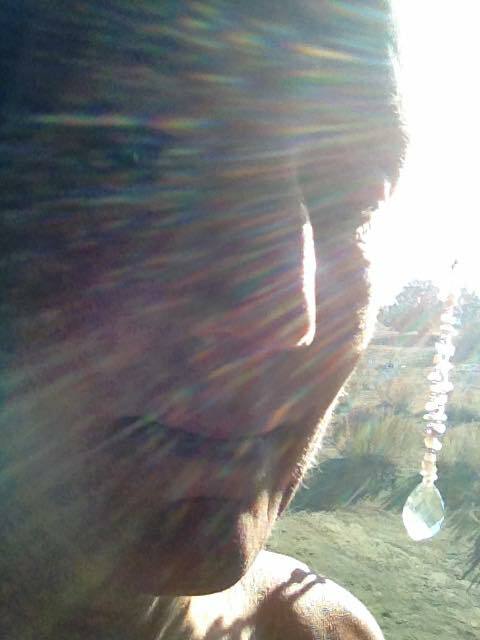 We become the shamans who walk in the light without casting shadow, who heal just by BEing. We become masters-of-allowing our natural state of balance, for the greater good of all. The stream of super-consciousness is both a tool for deepening our self-awareness and for healing. It’s also the fruit of the labor we’ve committed to for these many years – urging ourselves to be better and showing up for others. This is both our karma, to further us on our journey as we step into the destiny of our making, and the fun-fruit of our dharma, our destiny made manifest. It’s the seeming paradox of the galactic shamans that we work so closely with the energies of the Earth. After all, she’s a starry-eyed heavenly body hurtling through the sky. Oh my… What a day of visions. You’ll see. The times, they are a’changing. My Spirit Guides show me a dolphin swimming deep in the water where there is no light and no shadow. As she surfaces, the light and shadow return ever so gradually. Eventually she crests the waves, feels the sun – or moon – on her skin, sees her own shadow on the surface of the water. So too must we be willing to swim in the depth and darkness, to feel our own isolation, in order to know and appreciate our true oneness with all-that-is. We’ve been there, done that dark part. Now, without the ability to see the future, still we must learn to trust… in ourselves, our connection to Spirit, our capacity to work, play, and love others in a drama-filled world. We must be willing to swim into the light, to see our own light, and to rejoice in our freedom to co-create: A New Dawn. 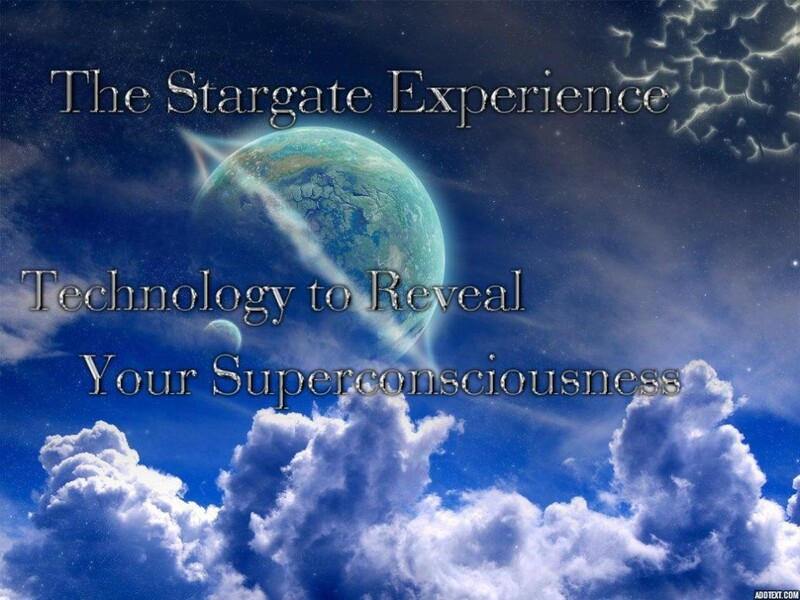 This entry was posted in Channeling, Community, Conscious Evolution, Healing, Spiritual Entrepreneurs, Spirituality and tagged archetypes, conscious evolution, galactic shaman, super consciousness, The Stargate Experience. Bookmark the permalink.